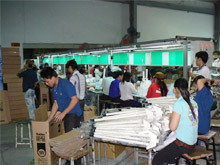 FIBI GREEN INDUSTRIES LTD was established in 1991 in Taiwan, our Fan Factory already moved from Taiwan to Vietnam more than 20 years, specialized in Manufacturing and Exporting full range of Patented Industrial Fans, Misting Floor Fans, Industrial Fogging Wall Fans & etc. Due to most of our regular VIP customers asked for help to supply other Cooling Fogging Mist systems, Outdoor Cooling Systems & Portable Mist Fans to work with their existed projects. 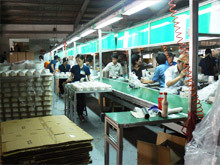 But customers still need some other Misting Accessories such as Nozzles, Fittings, High Pressure Misting Pumps & accessories, finally we become to work as customers' "Total Solution" partner in Taiwan to bring customers happiness, efficiency and save their cost & time much. 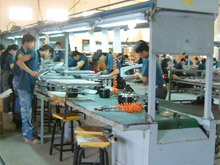 In order to strengthen our competition ability and benefit all of our customers and maintain good quality products all the time, our factory self- manufacturing rate is about 90% or more, such as Fan Motors, Fan Grills, Plastic Fan Blades, Metal Sticks, Metal Fan Housings, Parts & Accessories. 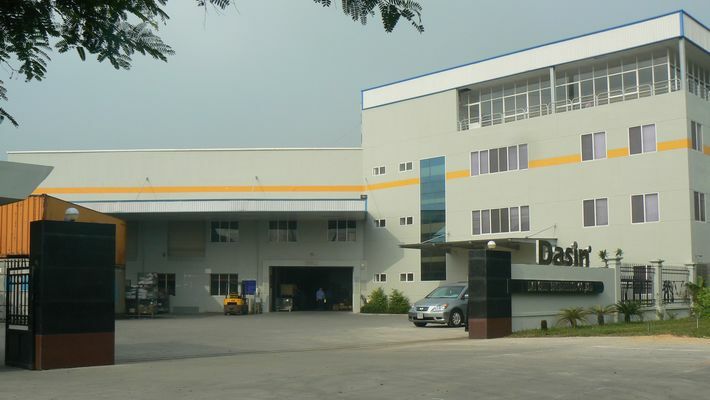 Our factory was awarded with ISO 9001:2000 certification and all Fans were manufactured to meet standard of CE, UL, CB, JET (Japan) and we always do our utmost to control quality strictly and delivery time to meet customers' needs. 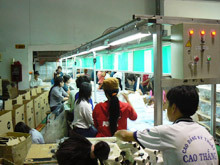 “Seeing is believing”, You are always warmly welcomed to visit our Vietnam factory, then you will have a good image. 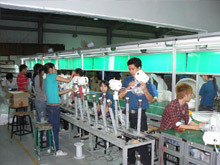 Truly speaking, from the beginning our factory just produced Fan Motors and Fan Grills by OEM/ODM cooperation. Due to too many misunderstanding events occurred, finally we decided to start manufacturing complete set of Industrial Drum Fans, Industrial Stand Fans, Industrial Wall Fans. With all customers' best support and full cooperation, we are working more hard and creating some other Commercial Fogging Fans, High velocity Industrial Wall Mount Fans & agriculture Green House Fans. 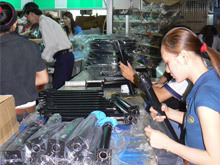 In order to meet our regular customers’ requirements, we started to co-manufacture Nylon & PE tubes & water filtration. If you are looking for durable High Pressure Stainless Steel, Ceramic nozzles, Nozzles Extension, Misting LED nozzles set & etc, you are always welcomed to feel free to contact us for more information.